I came across these charming prints on PrintSpace today. The prints are created by Mara and Nicholas Girling, combining hand drawn elements and digital art into collages. 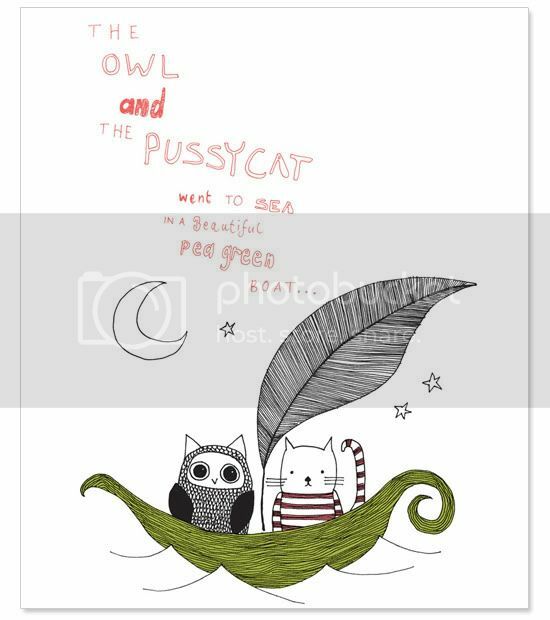 I really like 'the Owl and the Pussycat' and 'Little Red Riding Hood' prints, but they also have some very cute Christmas cards. P.S. I've been hesitant about joining Twitter because I'm a quite a private person, but I have now decided to give it a try and see how I like it. So please follow me for lots of Sushi updates, and I'll follow you back! These prints are so cute! I really like the little red riding hood one. Thanks for sharing! Awww, so adorable! Love the owl and pussycat! sure, i'll trade links. take a look at my link love and tell me what category you'd like to be under. 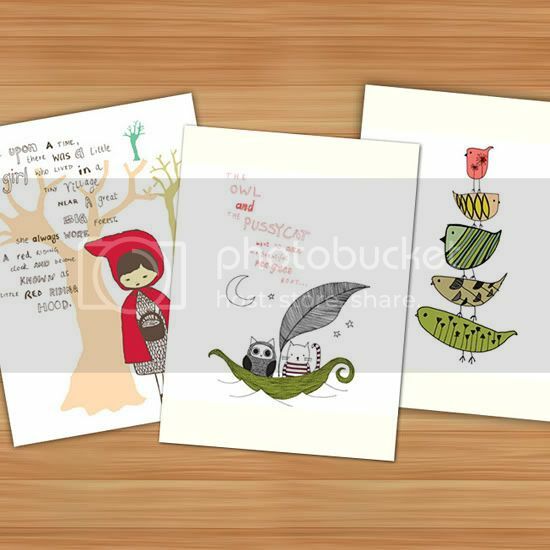 These are adorable, the little red riding hood one is gorgeous. I need to send some Thank You cards actually, so maybe I'll check out that site. Good luck with Twitter! Annie.